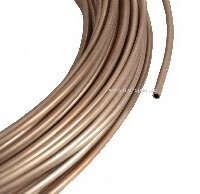 For the manufacturing of stainless brake lines you need stainless pipes and stainless cap screws. Normally stainless caps screws are made of bare brass, which oxidizes after a very short time. 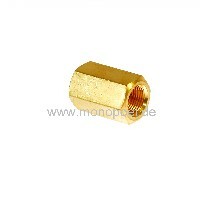 Exclusively at Monopoel you can buy cap screws made of brass with a tinned surface. 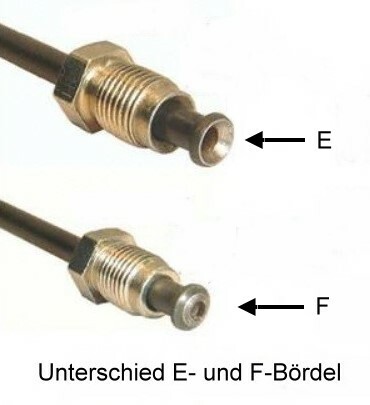 In conjunction with brake lines of Kunifer you get a perfect stainless and non-oxidizing brake line. 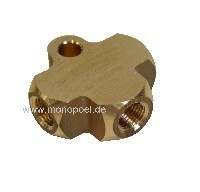 The cap screws had been made in a small number for a German car manufacturer - now available at Monopoel.